DPR Roofing advises Wakefield property owners to look out for and attend to damage to roofs to avoid more major repairs in the future. Experienced roofers at DPR Roofing (Wakefield) Ltd advise that there are several warning signs to be aware of, to prevent a small problem becoming more serious. There are broadly two types of roof, each with its own set of potential problems. 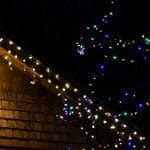 The pitched roof, which will usually be covered in slates, or tiles, and the flat roof, which may be covered in felt, or newer materials such as PVC or Fibreglass. 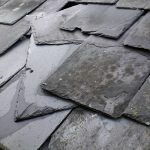 Pitched roofs will be prone to damage from high winds, when a slate or tile may lift, allowing water to seep in, and making the surrounding slates or tiles more vulnerable to wind at exposed edges. 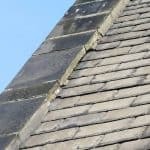 Local Wakefield roofers, DPR, advise property owners to check their roofs periodically to look for missing or damaged slates or tiles, and where a roof is above one storey they strongly recommend calling in a professional roofing service company who can offer prompt roof repairs in the Wakefield area. Flat roofs have their own set of problems. A regular check should be made to ensure that edges or seams are still sound, and there is no damage, holes, cracks, splits, or tears to the fabric of the roof. These matters should immediately prompt you to call for the services of an experienced roofer such as Wakefield roofing company, DPR, who have experience of providing repairs to a wide variety of roofs throughout Wakefield. Another warning sign to look out for is standing water on the roof. This may indicate that the guttering or drainage system is not functioning efficiently. Whilst you may decide to clear the gutters yourself, any damage resulting to the fabric of the roof should be attended to promptly by a Wakefield roofing company. If roof panels have moved with weathering or storm damage, and this has caused the standing water problem, then the advice of a competent roofer should be sought. 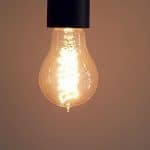 Similarly, damp patches inside the building call for immediate action, since they indicate a substantial leak or drainage problem. 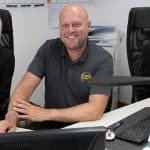 To seek advice from a roofing company with over 20 years’ experience in Wakefield, telephone DPR Roofing, 01924 637081.